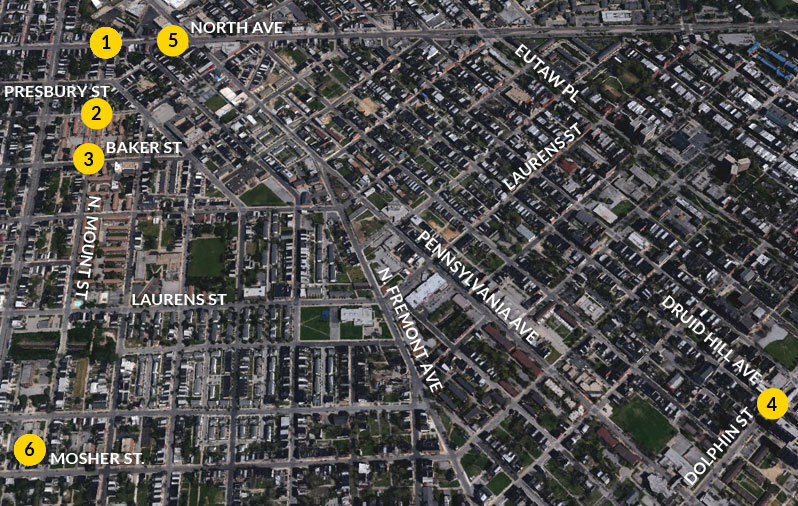 Freddie Gray, 25, was arrested April 12 following a foot pursuit by officers in the Gilmor Homes area of West Baltimore, and he suffered a severe spinal injury while in police custody. 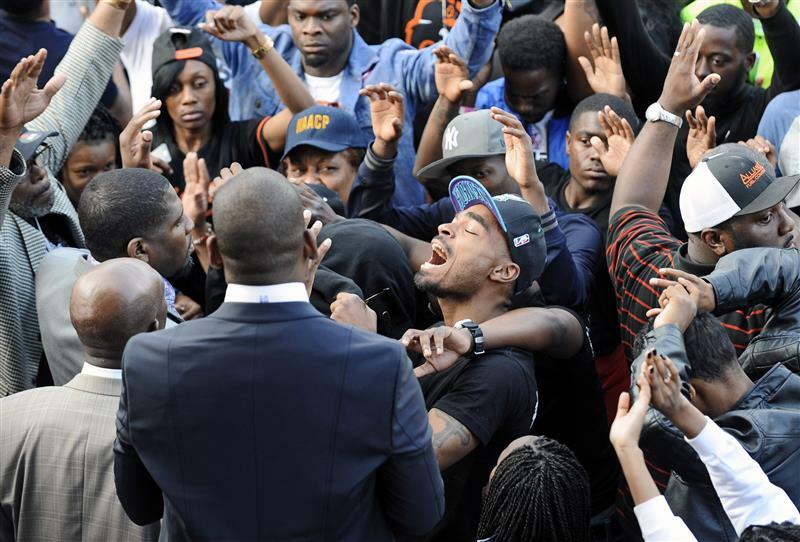 His death a week later sparked protests over police brutality and unrest in the city — including looting and rioting — that drew international attention to the case. On April 27, riots erupted throughout the city; all told, 235 people were arrested, 20 police officers were injured, hundreds of businesses were damaged and 144 vehicles and 15 buildings were set on fire during the chaos that Monday evening. 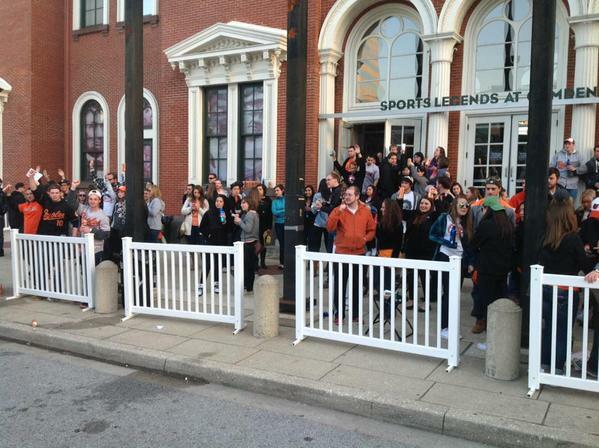 A citywide curfew was enacted and a state of emergency declared. 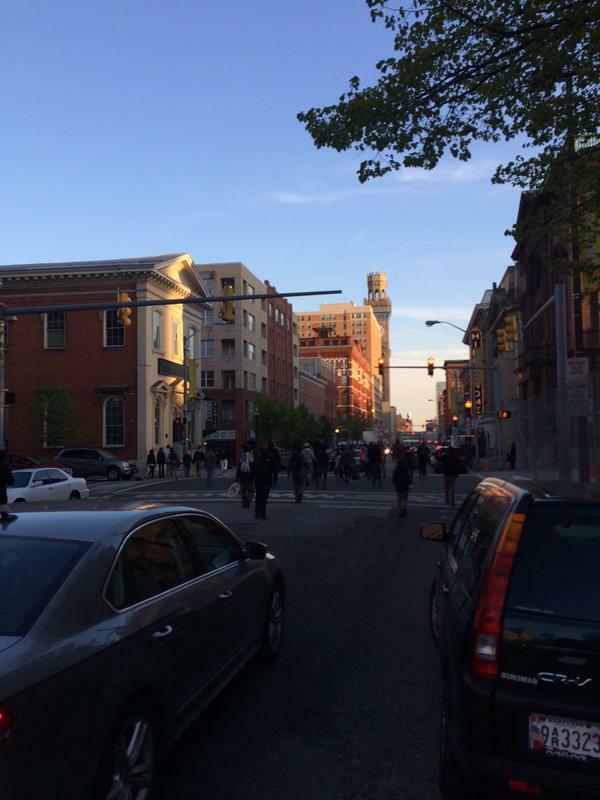 Below is The Sun's live blog coverage of the Baltimore unrest and riots. 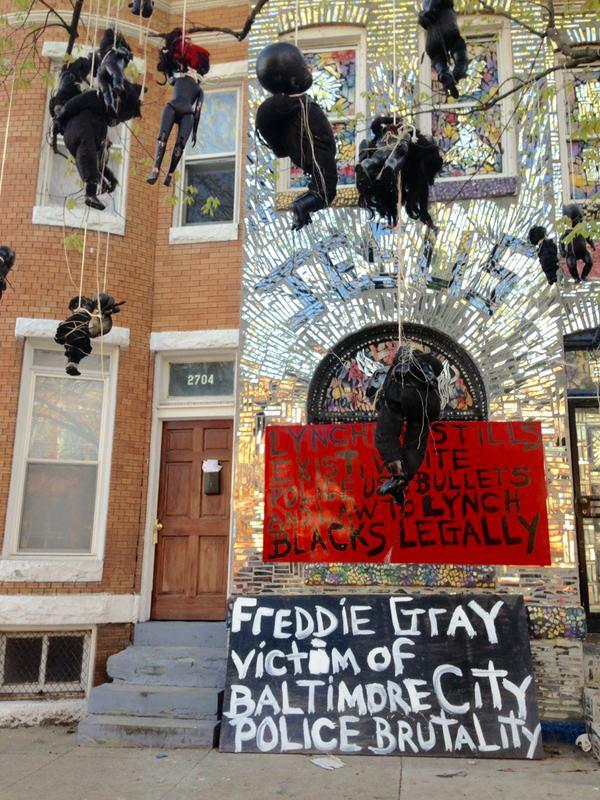 Live blog coverage began April 24 as police provided the first of many updates about the Gray investigation and continued until May 3, two days after Baltimore State's Attorney Marilyn J. Mosby announced charges against the six officers. Visit our special section for the latest news and The Baltimore Sun's in-depth coverage on the Gray case and ensuing unrest. Another @BmoreCityDOT warning about traffic congestion, "unpredictable conditions" through evening commute today because of protests. 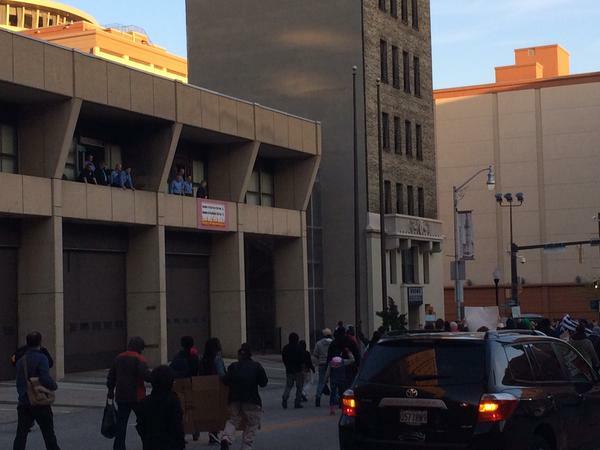 We know Mr Freddie Gray was not wearing a seatbelt in the prisoner transport van. Our investigation is still ongoing. We have received a preliminary report from the medical examiners office, but their investigation is not complete yet. Batts says 30+ investigators from various disciplines have been put on #FreddieGray case. Report to state's attorney next Friday will not be "the conclusion of the investigation." 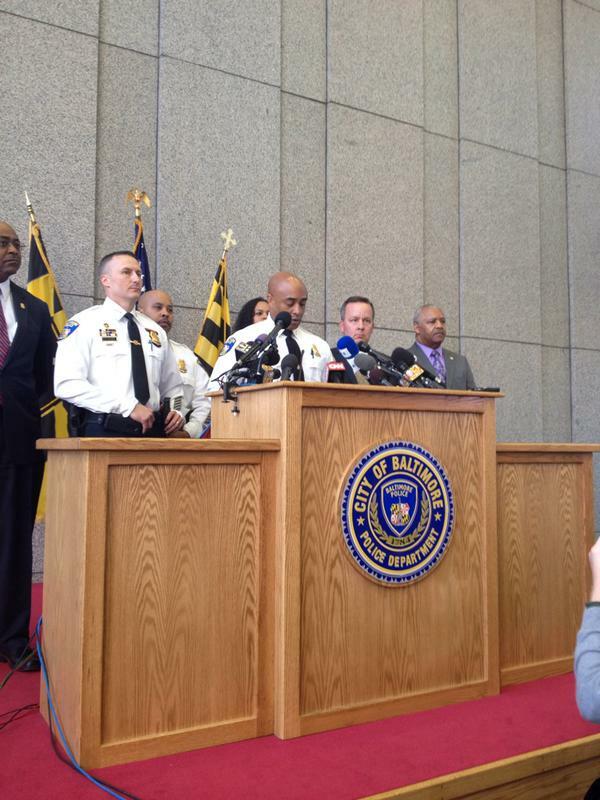 Batts will not resign. Treatment of protests this weekend to be treated like any other "special event." Have "expectation of conduct" by residents and visitors. 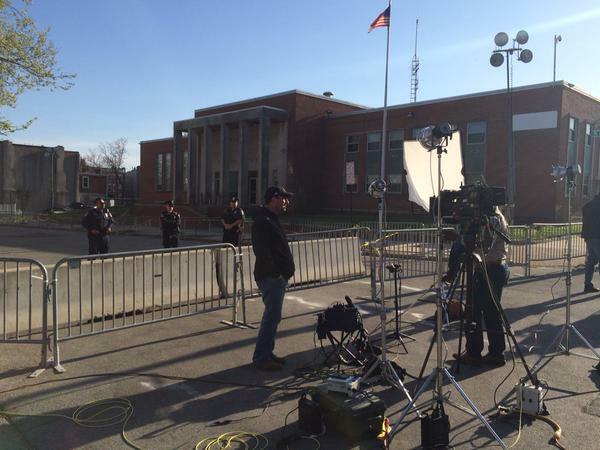 Batts compares #FreddieGray investigation to visiting the optometrist. Facts becoming "clearer and clearer." 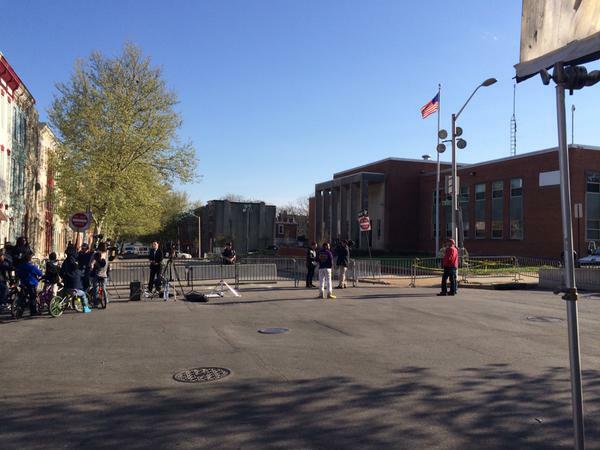 Batts now slightly backing off initial inside-the-van theory of #FreddieGray's injury. "There is a gap for me." Sorry couldn't tweet was asking questions, which this presser raised more of than it answered. Police releasing more CCTV footage but we haven't seen it yet. Folks hanging around the Western District saying they don't expect much protest action tonight with a bigger event expected tomorrow. Batts: When van carrying #FreddieGray stops at Druid Hill/Dolphin, officers have to "pick him up off the floor and place him on the seat." 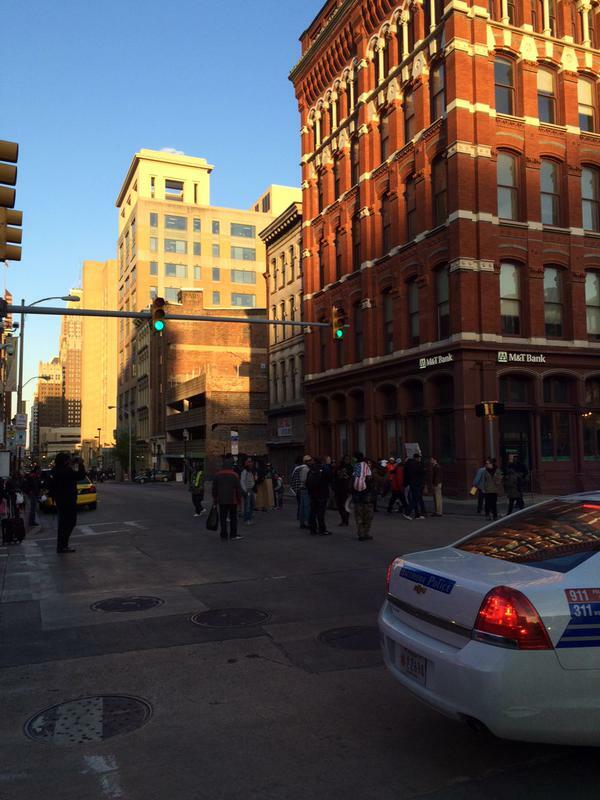 "If somebody harmed #FreddieGray, we're going to have to prosecute them," said Batts. Some Qs not being answered yet to not jeopardize case. 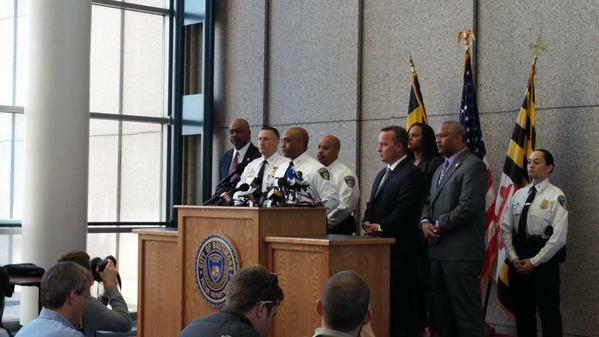 2/2: During the press conference - #PCBatts provides an update on the investigation into the death of Mr. Freddie Gray. 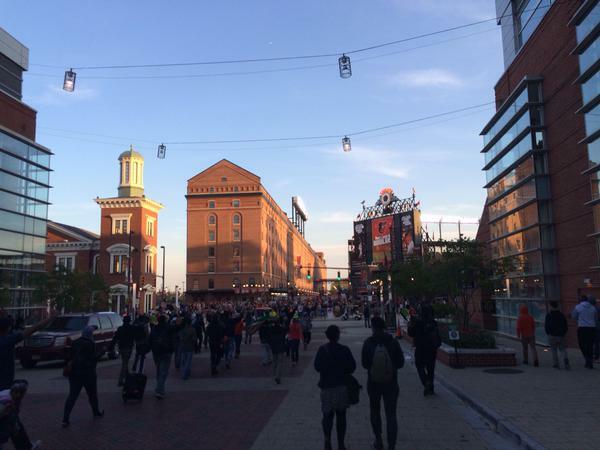 Stadium security was briefly giving WYPR reporter a hard time because he might encroach on Os broadcast rights. 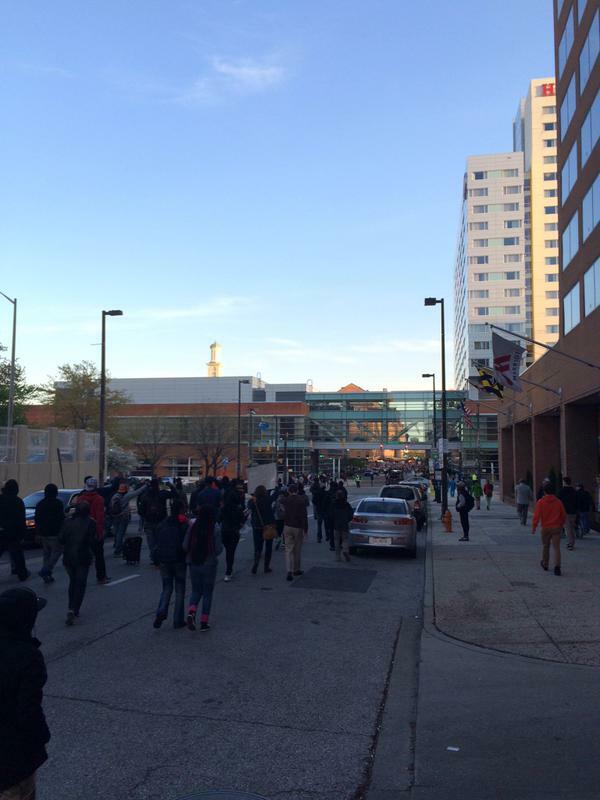 baltimoresun.comCivil rights groups called on Gov. 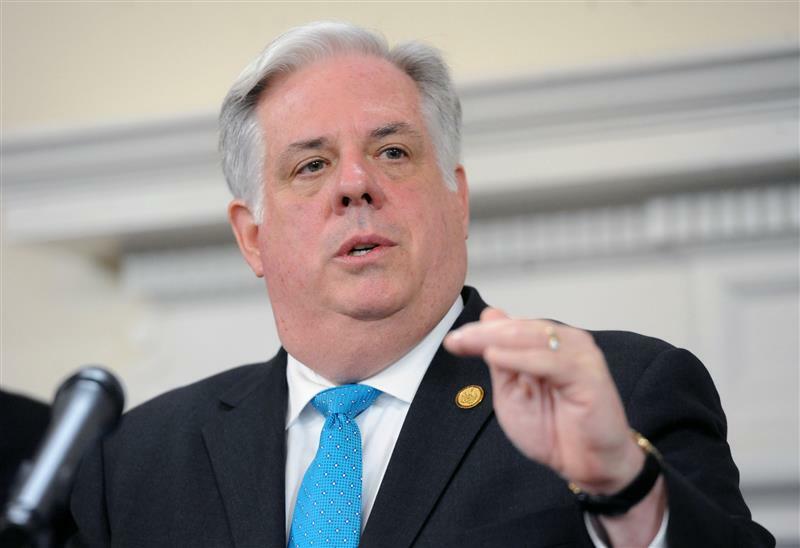 Larry Hogan Friday to help resolve a fractured relationship between Baltimore residents and its police department, asking him to convene a special session to pass more comprehensive body camera laws and to invest cash in urban renewal projects. Batts said the Office of the Chief Medical Examiner will likely be bringing in experts to look at Gray's spine before conclusion of autopsy. 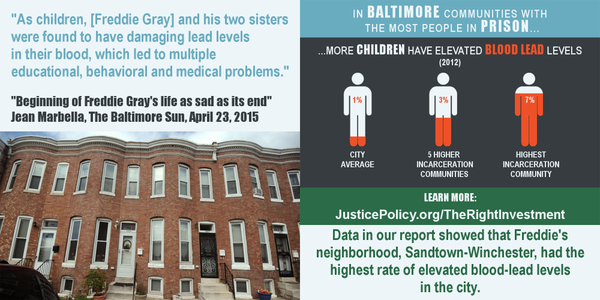 "Because Baltimore has a strong community, we don’t need help from outside of our city and state to deal with this." 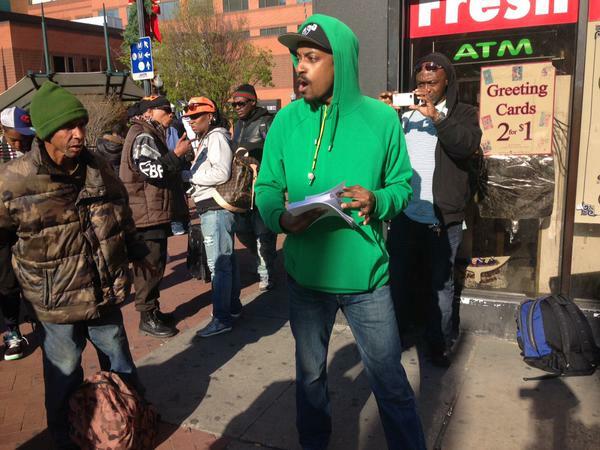 baltimoresun.comA day before a national group plans a protest on Baltimore's streets over the death of Freddie Gray , Mayor Stephanie Rawlings-Blake and two dozen clergy members and community leaders pleaded Friday for outsiders to behave peacefully while here.